Hi everyone!! 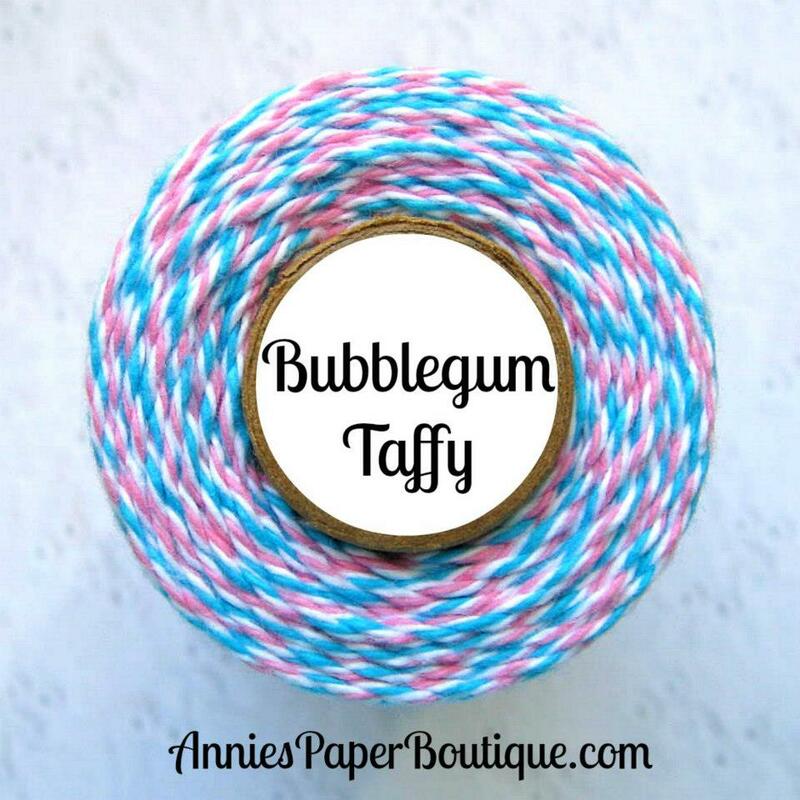 I am so glad you are here today to join in the Trendy Twine Bunny Hop :) Trendy Twine's newest color is debuting today--Bubblegum Taffy! It is so pretty, I need more already--LOL! If you have just come from Yvonne, you are on track. If not, please start at Twine It Up! with Trendy Twine so you don't miss any of the fun and prizes. My project today is a cute little basket cut from Tags, Bags, Boxes and More 2 at 5 inches. This is the cut that is one piece, except the handle. If you want it bigger than 5 inches, you need to use the other cuts and glue them all together. But this is a perfect size for a small treat or a table favor. I used the fabulous new Bubblegum Taffy on the edges, middle of the handle, and as bows at the bottom of the handles on both sides. Then I added a cut bunny from My Creative Time's new To My Best Peep die. 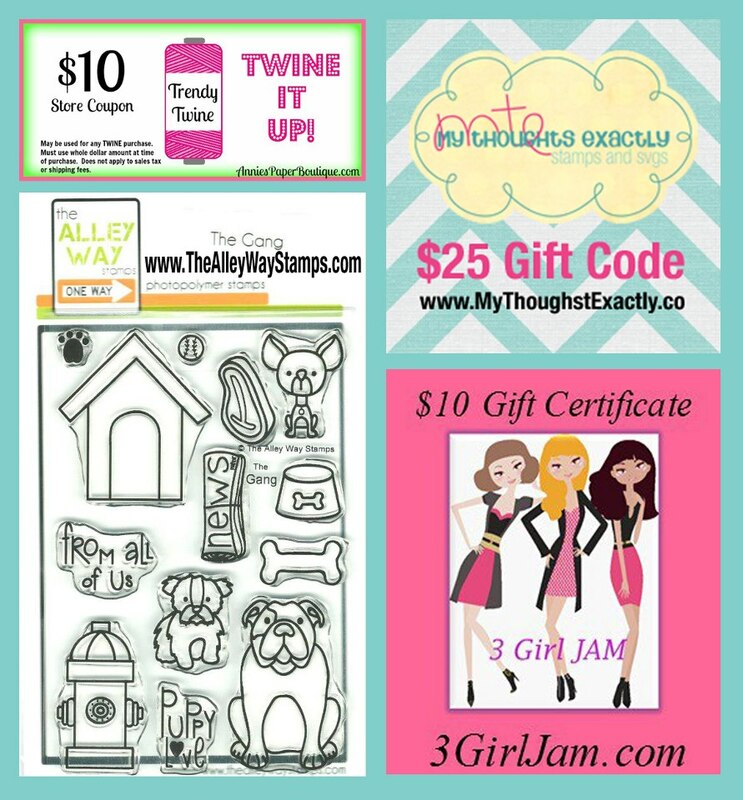 Now, you have a chance to win some great prizes from The Alley Way Stamps, My Thoughts Exactly, 3 Girl Jam, and Trendy Twine! In order to win a prize, be sure to comment on all the blogs in the hop (including the Trendy Twine Blog), follow the Trendy Twine Blog, and like the Trendy Twine Facebook page. Have a great day and enjoy all the fun projects from the design team!! This was so cute. Love the basket. Helen your basket turned out great - love the lattice on it! So cute Helen!! It would look fabulous with Yvonne's little bottles at the table :) The basket is adorable!! so cute!! great little basket! Adorable basket! Great job Helen! Beautiful work ladies! I am loving this hop! 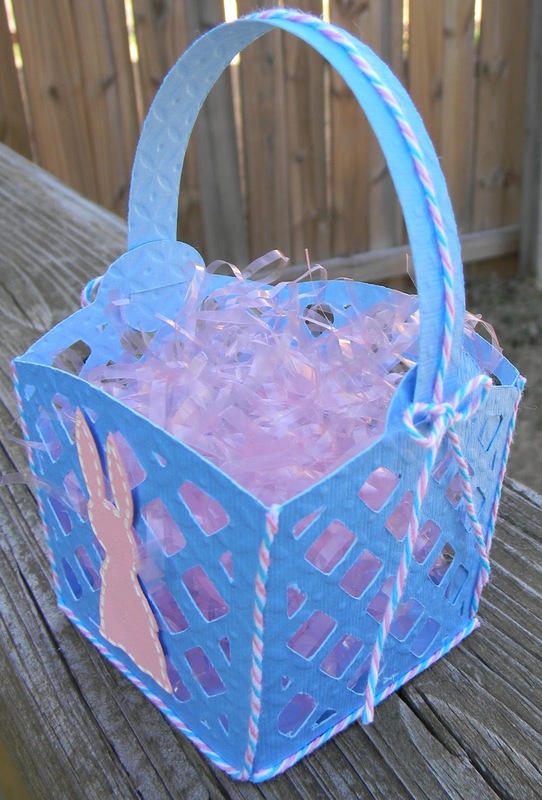 What a super cute Easter basket. I'm a new follower. 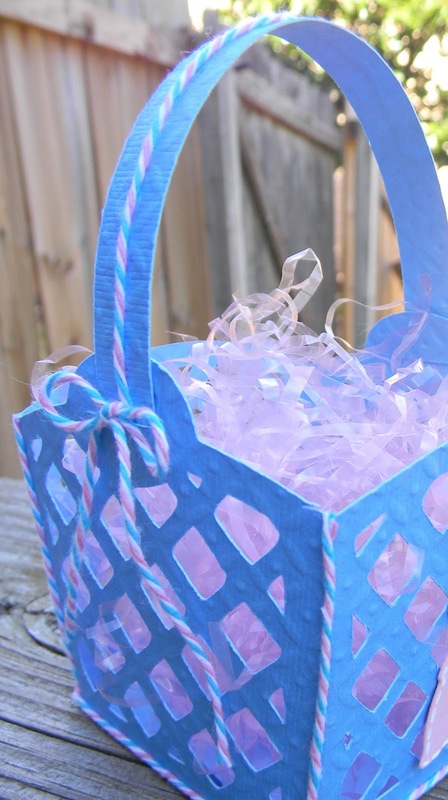 Such a cute basket, love the color combination and how the twine ties it all together! This is such an adorable basket!!!! LOVE that cute cute bunny!!! Love the basket, the twine edging is awesome. Great stitching on the basket! 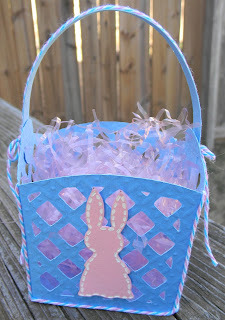 I LOVE your adorable basket and the way you sued the twine is awesome!!! Your basket is sweet. Love the colors! So sweet!!! Love, great job! cute basket and the twine adds alot. 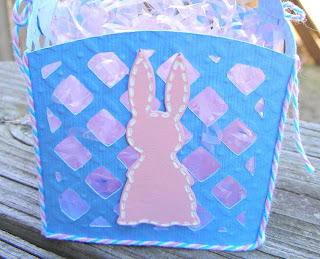 Cutest little basket, love the pastels! What a cute basket! Love the blue. Your basket is so adorable! Great basket! I love the color! 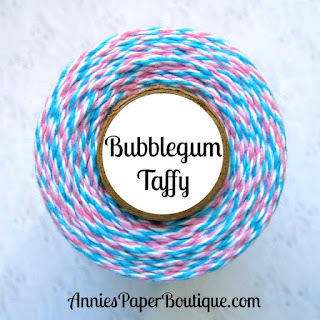 The twine color combo is perfect for spring projects! what a super sweet bunny! Love the basket, especially the pattern (holes) in it! Thanks for sharing! I love it! 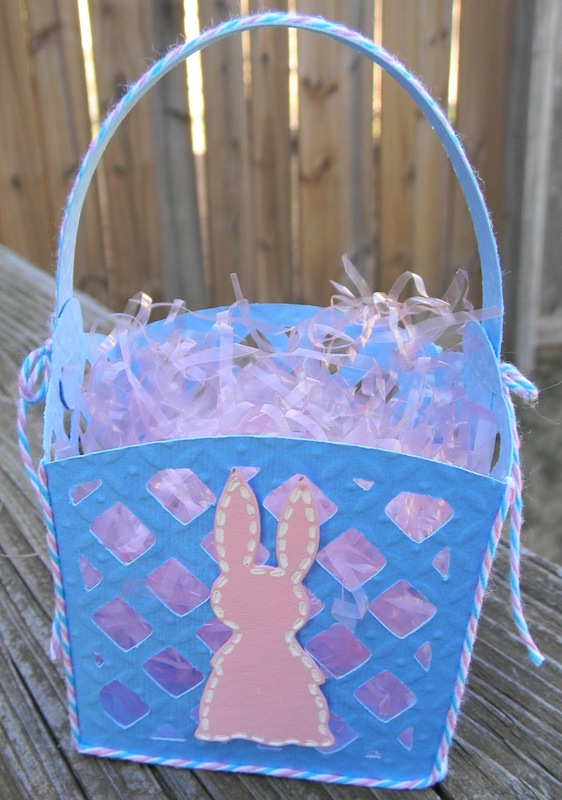 This is a cute basket by itself, but you really enhanced it by adding the twine trim. I need to get that cartridge. Lol. Cute basket! Perfect for goodies! Helen ~ CUTE basket! I LOVE this cut! The twine ( which I LOVE and need) wrapped around is so CLEVER! That little bunny is adorbs too! Thanks for joining us over at My Creative Time ~ Designer Challenge! 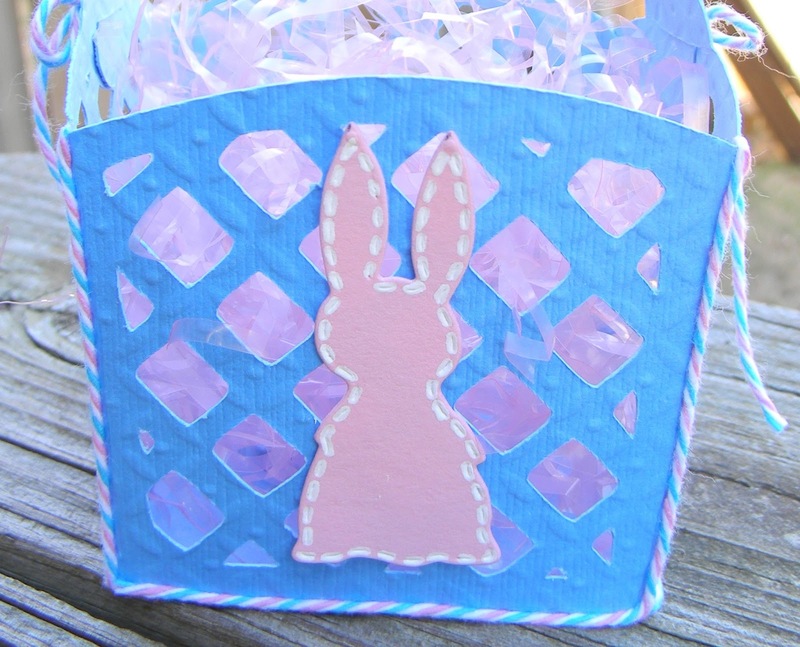 super cute basket! I love the the stitching you added to the bunny too! thanks for playing with us at My Creative Time Designer Challenge!